I’m so pleased you are thinking about joining my team and Stampin’ Up! Below you will find answers to some of the questions I get asked about joining. But, if there is anything I haven’t covered, do please email me if you have further questions. We would love you to but you don’t have to. If you can reach the manageable quarterly minimums with your own purchases you can simply join and benefit from the discounts and deals. There is no pressure from me as your upline or from Stampin’ Up! but if you change your mind and want to start a class or two or sell to friends or customers you can. You are in charge and you set your own targets and goals. It is so easy to share what you are passionate about and Stampin’ Up! offers some great incentives to get you sharing and earning so there is lots of scope to earn, promote and be rewarded simply by sharing what you love and the fantastic products. The quarterly minimum sales target is £275 (300 CSV). Whenever sales are mentioned in the Compensation Plan, they won’t be shown in local currency. In order to make our compensation plan applicable to all markets, regardless of currency, we use a common measurement, commissionable sales volume or CSV. Your first quarterly minimum needs to be reached at the end of a full quarter and if you join part way through a quarter you will be given until the end of the next quarter to reach your minimum. Quarters are as follows Jan-Mar, Apr-Jun, Jul-Sept, Oct-Dec. If you cannot achieve a quarterly minimum, Stampin’ Up! will give you an extra month to meet your targets. If you can’t then you revert back to being a customer and no longer receive the discount. On all orders placed you receive 20% discount off the net product total (the total after VAT is taken off) or 21% discount off if you are in the Netherlands. You can earn more commission the more sales you make in a month and any extra commission payments are calculated at the end of the month and paid direct in the bank account of your choice mid-way through the following month. You also get the chance to pre-order products a month earlier than the general release as well as very generous offers and discounts including hostess benefits on all eligible orders. I have several years experience and knowledge and can help you as little or as much as you need. There is also lots of info shared on the demonstrator website. We have a dedicated demo support helpline who are amazing. If you are on Facebook you can be added to my dedicated team page – whether you are buying for yourself or want to spread your wings and sell to others. 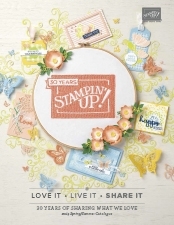 One of the best things about Stampin’ Up! are the people. You can choose to be part of the team/community or you can choose not to be, no pressure but you are free to choose.